Detections of planets orbiting nearby stars naturally require establishing what is meant by a “planet” and how do we know a planet when we see one? This question is not as easy to answer as it is to pose. To understand the difficulties, it is useful to examine the answer to: “Is Pluto a planet?”—a simple question without a simple answer. Astronomers like categorising objects of astronomical and astrophysical interest, giving them labels such as “planets”, “stars”, “asteroids” and many more. According to the decision of the International Astronomical Union (IAU), Pluto is classified as a “dwarf planet” because it is not the “gravitationally dominant body” on its orbit. Setting aside for a moment what that actually means, it is, however, pretty obvious based on the recent imagery from the NASAs New Horizons mission that Pluto is certainly a world in its own right – something that we could be very tempting to call a planet regardless of what the IAU has decided. A “dwarf planet” is a celestial body that (a) is in orbit around the Sun, (b) has sufficient mass for its self-gravity to overcome rigid body forces so that it assumes a hydrostatic equilibrium (nearly round) shape, (c) has not cleared the neighbourhood around its orbit, and (d) is not a satellite. All other objects, except satellites, orbiting the Sun shall be referred to collectively as “Small Solar-System Bodies”. Although Pluto is in orbit around the Sun and has sufficient self-gravity to assume a roughly spherical shape through hydrostatic equilibrium, it has not cleared the neighbourhood of its orbit by gravitationally tugging smaller objects out of its residential area in the Solar System. IAU therefore decided to classify Pluto as a dwarf planet rather than a full-blown member of the set of planets in the Solar System. The situation gets more complicated when remembering that Jupiter, for instance, has also failed to clear the neighbourhood around its orbit, as there are thousands of trojan asteroids at and around Jupiter’s orbit. Yet, nobody disagrees whether we should classify Jupiter as a planet or not. But with respect to extra-solar planets, the IAUs resolution is not valid – it has only been designed to be valid when classifying celestial bodies in the Solar System. Astronomers consider extra-solar objects that orbit stars other than the Sun to be planets if they (1) are large enough to have reached hydrostatic equilibria, and (2) small enough such that they cannot sustain nuclear fusion in their cores and thus cannot be considered stars or even brown dwarfs. But that is only where the problems begin—it is not at all trivial to determine how large the objects orbiting other stars are when their very presence is difficult to observe. It is reasonably straightforward to conclude that an object transiting a nearby star, such as the extraordinary haul of worlds found by the Kepler spacecraft, is large enough to have reached hydrostatic equilibrium if it is in fact large enough to be seen blocking the light coming from the stellar surface. But what about the larger objects that are comparable in size to Jupiter? Because the planetary transits can only reveal their radii in relation to their host stars, it cannot be known whether some of them are in fact more than roughly 13 times more massive than the Jupiter, which is sufficient for the fusion of deuterium into helium in their cores. Such objects would then be classified as brown dwarfs rather than planets. 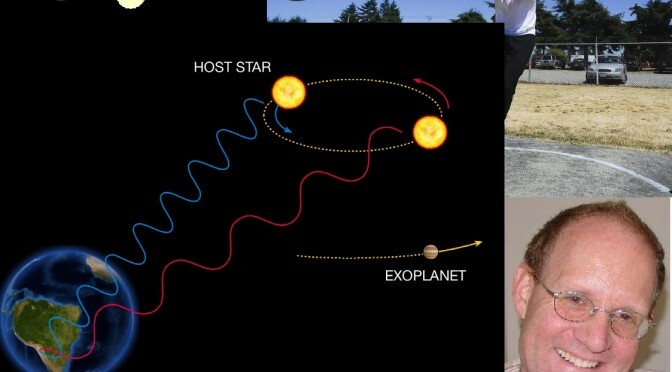 The situation is even more complicated, sometimes frustratingly so, when observing exoplanets with the Doppler spectroscopy technique applied in the Pale Red Dot campaign. Because this technique can only be used to reveal the lower limit for the planetary masses, it is impossible to tell whether any individual discovery actually corresponds to a genuine planet rather than a small star or a brown dwarf even though, on statistical grounds, the vast majority of them are certainly small enough to be considered planets. But whether extra-solar objects of suitable size to be classified as planets have cleared the neighborhoods of their orbits is beyond our observational capabilities. It is also less than certain what the possible free-floating planetary sized objects should be called as they do not revolve around stars of any kind. It is quite possible that a general definition of a planet proves as elusive as that of a “continent” that no geographer dares to define—nor are they even interested in doing so. Similarly, biologists cannot produce a general definition for “life” but more often than not simply say that “they know whether it is alive or not when they see it”, which can be seen as an attempt to brush the problem under the carpet. It is probably a human trait to attempt classifying things into rigid categories even when nature has cynically decided that there is simply a continuum of objects and that any and all classifications are thus only subjective opinions without any deeper meanings. In such cases, the definitions do not help in understanding nature any better—and may even hinder scientific developments by providing a biased frame of reference. And Pluto, as it – in my opinion – certainly is a world in its own right, deserves to be called a planet regardless of any subjective definitions individuals might consider appropriate. Although that might not be acceptable for all, one thing is clear. If an object resembling Pluto was found orbiting a star other than the Sun, I believe it would be called a planet. neighborhood. 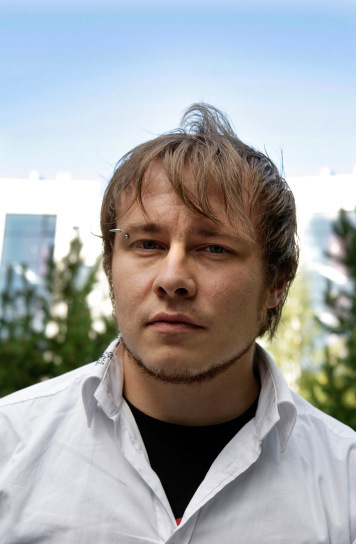 He has also worked as an environmental scientist at the Finnish Environment Institute. M. Tuomi is one of the editors of palereddot.org, and can be blamed for first spotting tentative evidence of ‘The signal’ in archival UVES and HARPS data. by Élodie Hébrard (York University) and Rakesh Yadav (Harvard-Smithonian CfA). There is an invisible force active on the Sun which is due to its magnetic field. You may know that magnetic fields can be produced by electrical currents. The Sun’s plasma is a highly charged fluid. Due to the combined effect of large-scale ordered motions induced by the Sun’s rotation and the chaotic boiling of the plasma, there is an ample supply of electrical currents on the Sun to sustain the magnetic fields. This process of field generation by fluid motions is known as the Dynamo mechanism. Magnetic fields are responsible for producing very violent events called X-ray flares on the Sun. The energy which is stored in the magnetic field as tension gets released in the form of energetic electromagnetic radiation (ultra violet and X-rays). These flares also accelerate the plasma in the nearby region, which is ejected with very high velocities away from the Sun. These are known as Coronal Mass Ejections (CMEs). The energetic radiation and the CMEs form a dangerous partnership as they can gradually erode away the atmosphere (crucial for developing life) of a closely orbiting planet. You can learn more about X-ray flares in this short video. Lets move away from our solar system and discuss the Pale Red Dot. Stars which are substantially cooler than the Sun are usually referred to as “red dwarfs” or “low-mass stars”. Proxima Centauri is one such star. But do not be fooled by their “coolness”! Astronomers have been looking at such stars for decades now—it turns out these stars are very active. In fact, they generate many more X-ray flares and CMEs than the Sun. Due to the high levels of violent events on these stars, the planets orbiting around them might encounter much more hostile environments than the planets in our own solar system. Such high activity is due to the presence of a magnetic field which is much stronger than what our Sun can produce. The high activity also makes it rather tricky to find Earth-like planets around these stars. Hey, wait a minute, how do we know that these stars have strong magnetic fields? The best way to measure the magnetic field of a star is to use the subtle effects it induces on the light it emits. Indeed, if a star has a magnetic field, its spectrum is affected: the different spectral lines split into several components, and each component has its own polarisation (it means that the magnetic field changes the vibrational properties of the light). This splitting effect is called the Zeeman effect. Measuring polarisation in spectral lines allows a reliable measurement of the stellar magnetic field, as explained in the short video below. 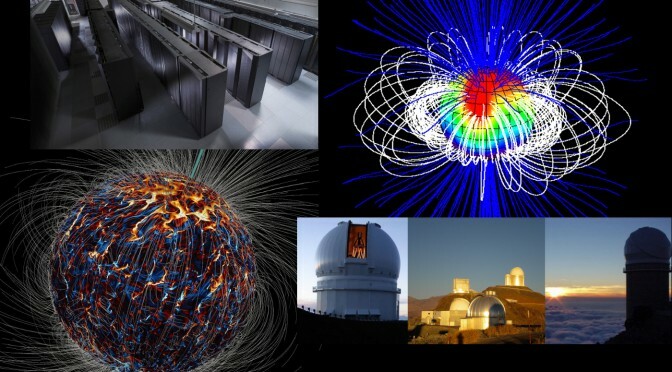 So now we know how we are able to measure a magnetic field, the next natural step is to reconstruct the map of the stellar magnetic field in order to know what it looks like: a dipolar field? a toroidal field?… To do that, we use the stellar rotation! More specifically, analysing the circular polarisation in spectral lines at different times as the star rotates, we get step by step a full 2D image of the magnetic field at the surface of the star. To carry out this exercise, astronomers use a method called Zeeman-Doppler Imaging (ZDI)—based on techniques developed for medical imaging! The following animations summarise the principles behind ZDI. As the star rotates, an Earth-based observer sees the magnetic spot under different viewing angles, and moving at different projected velocities (upper panel). The level of circular polarisation measured in a spectral line evolves consequently (lower panel). 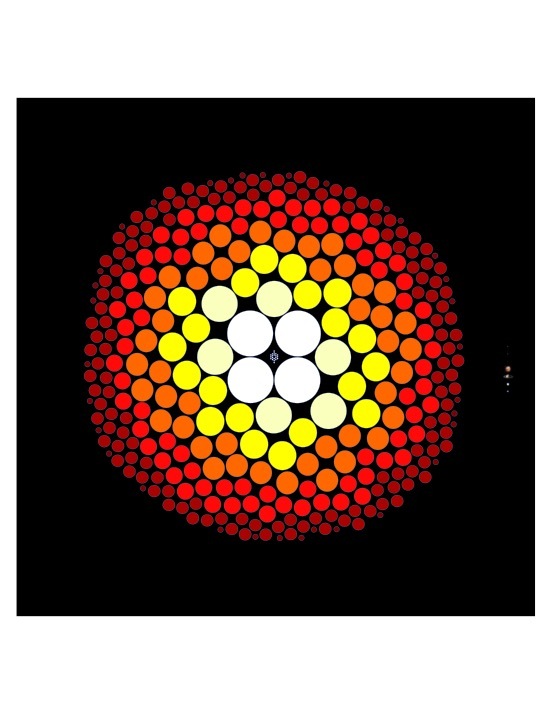 The case of a radially oriented field (as depicted by the red arrows) is depicted here. Credit: J.-F. Donati. Same as the previous figure, but here with the case of an azimuthally oriented field (as depicted by the red arrows) depicted. As opposed to the radial field situation the circular polarisation signature flips sign. This allows ZDI to disentangle between field orientations. Credit: J.-F. Donati. the magnetic field activity of a star. As presented in Xavier Dumusque’s article, these spots induce distortions in the spectral line profiles (because of the Doppler effect), that induce radial velocity (RV) shift. Moreover, as the star rotates and the spot is carried across the visible disc, this distortion travels through the line profile (see figure below). Therefore, collecting data at different rotation phases allows us to unveil how the bright features are distributed on the stellar surface, exactly as for the magnetic field. In this case the method is simply called Doppler-Imaging. As the star rotates, an Earth-based observer sees the dark starspot at different locations on the visible stellar disc (upper panel). This results in characteristic distortions in stellar spectral line profiles that induce an apparent radial velocity (RV) shift (lower panel). Such RV shifts can mimic the signal of a planet or completely hide the presence of a genuine planet. Credit: J.-F. Donati. Instruments developed to gather simultaneously both the spectrum and its polarisation are called spectropolarimeters. The most used are ESPaDOnS atop the Mauna Kea in Hawaii, NARVAL atop the Pic-du-Midi in France, and HARPS-pol at La Silla observatory in Chile. The telescopes hosting the three high-resolution spectropolarimeters designed for studies of stellar magnetic fields. From left to right: Canada-France-Hawaii Telescope, Maunakea, Hawaii, USA; ESO 3.6m Telescope, La Silla Observatory, Chile; Télescope Bernard Lyot, Pic-du-midi Observatory, France. Credits: J-C Cuillandre/E Hébrard/OMP. What can we do with these measurements? First, as stellar spots plague the planet detection from radial velocity measurements, we can use the map of the spot distribution to infer the induced RV. Although new, this method holds tremendous promise in being able to filter out the stellar signal, and thus to regain the power of diagnosing the potential presence of orbiting planets. Second, if our final goal is to detect a habitable Earth-like planet around cool stars, characterising the planetary environment is of prime importance. Indeed, the reduced temperatures of cool stars move their habitable zone closer in than around Sun-like stars. Earth-like planets orbiting such stars would experience a stronger stellar magnetic pressure, exposing the planet’s atmosphere to erosion by the stellar wind and CMEs. Therefore there is an interest for estimating the stellar magnetic environment surrounding these planets. From the reconstruction of large-scale magnetic field topologies with ZDI, one can extrapolate the field outwards (see V374 Peg figure below) and ultimately it will allow a more thorough characterisation of detected planets, and a better assessment of the suitability of a planet for hosting life. Finally, the observed large-scale magnetic properties can be useful to better understand the stellar interior and the magnetic field generation. Magnetic field lines of the active red dwarf V374 Peg, extending in space above the surface of the star. The surface magnetic field has been mapped with ZDI, serving as a basis for the extrapolation to the whole magnetosphere. The simple dipole, magnet-like structure of the field is very obvious. Field lines forming loops above the surface are shown in white, while field lines open to the interstellar medium are shown in blue. Credit: MM Jardine & J-F Donati. So far we have discussed what we know about red dwarf stars observationally. Let’s go into some details about the latest theoretical models which try to explain why these stars have such strong magnetic fields. We will now discuss a recent supercomputer simulation which tried to mimic what happens in red dwarf stars. In computer simulations a star is considered to be a perfect sphere of hot plasma which rotates around an axis. To model the plasma flows, we assume that it follows the Navier-Stokes equation—which basically tells us that the change in the momentum of a tiny fluid packet is proportional to the sum of various forces acting on it. The behaviour of the magnetic field is governed by Maxwell’s equations (under the so-called MHD approximation). Furthermore, there are other equations of importance which describe the energy conservation and the thermodynamical state of the fluid (temperature, pressure, etc). These equations are then solved using sophisticated numerical algorithms (codes with 10s of thousands of lines) which are run on some of the world’s largest supercomputers. 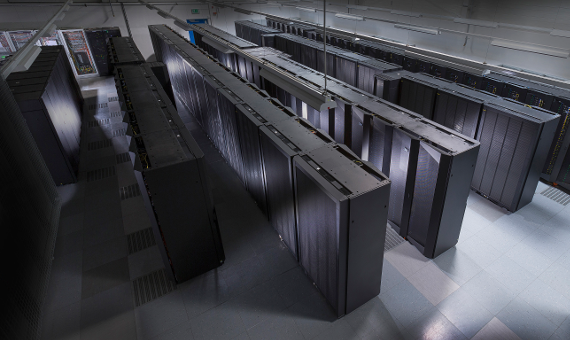 The HYDRA supercomputer at the Max Planck Computing and Data Facility in Garching bei München, Germany. In total there are ~83,000 cores with a main memory of 280 TB and a peak performance of about 1.7 PetaFlop/s. Credit: Max Planck Society. If we model conditions, which are similar to those found in red dwarf stars, the simulation produces many properties similar to what we actually observe. The magnetic field resulting from this simulation is depicted in the figure below. The field lines are coming out of the visible north pole of the “star”. This is due to a large region of magnetic field with one polarity (shown with yellow shades). A similar behaviour occurs in the south pole which is not visible in the image. Along with large regions with similar polarity, there are smaller regions containing both polarities of the magnetic field (close-by yellow and blue shades), scattered almost all over the surface. These “bipolar” regions are necessary to generate twisted and stretched field lines which lead to X-ray flares and CMEs. In fact, the bipolar “active” regions on this “star” are much more numerous than what we see on the Sun. By extension, this model then predicts that the red dwarf stars should generate many more X-ray flares. 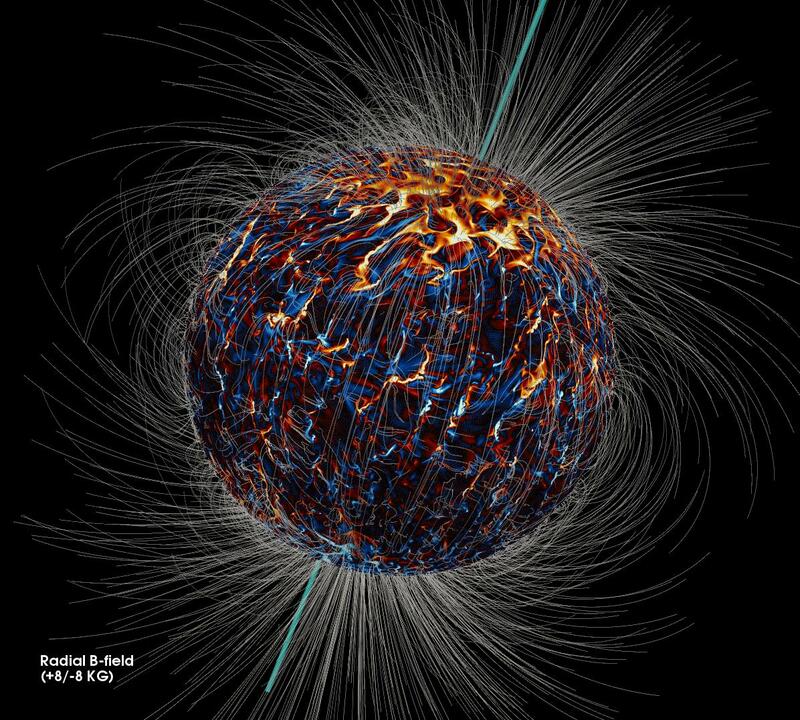 The strength of the magnetic field in the image is also typically about several kiloGauss, at least ten times stronger than the Sun’s typical magnetic field. Numerical simulation aimed at studying magnetic field generation in a red dwarf star. The two magnetic polarities are depicted in yellow and blue. The cyan-color pipe shows the rotation axis. Credit: Rakesh Yadav. To sum up, this “star in a computer” is able to self-consistently produce a very strong magnetic field and predicts that these stars should be much more active than the Sun. We have made some progress in the sense that this simulated star satisfies some observational constraints. The next step is to use the predictions from this simulation and test them using more detailed observations. The Pale Red Dot project is one such step. 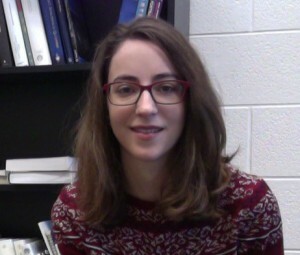 Élodie Hébrard graduated her PhD in astrophysics in 2015 at the Institut de Recherches en Astrophysique et Planétologie of the University of Toulouse (France). She studies the use of the Zeeman-Doppler Imaging technique to characterise stellar activity and magnetic fields, ultimately designing new approaches to filter out the activity-induced radial velocity signals that mimic those due to planets. Élodie is now a postdoctoral fellow at the Department of Physics and Astronomy of the University of York (Canada). 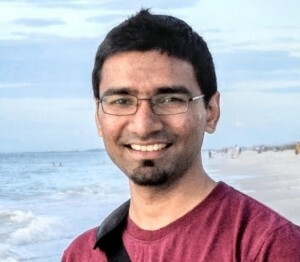 Rakesh Yadav is a theoretical astrophysicist who uses supercomputers to understand how planets and stars produce their magnetic fields. He finished his BSc and MSc (physics) in 2011 at the Indian Institute of Technology Kanpur, India. He moved to Germany in 2012 to pursue a PhD in computational astrophysics at the Max Planck Institut für Sonnensystemforschung and the University of Göttingen. After finishing his PhD in 2015 he joined the Harvard-Smithsonian Center for Astrophysics as a Post Doctoral scientist. When members of our research group go observing at Cerro Tololo Inter-American Observatory in the Chilean Andes we spend most of our time in a cozy heated control room. Modern astronomical observing is done mostly by monitoring computer screens and entering commands to tell the telescope where to point next. If we have to put on our winter jackets and climb the flight of stairs to where the telescope is—under the open dome—it is because something went wrong and we are frantically trying to fix the problem and minimize the loss of precious telescope time. There is one exception. Our group’s tradition dictates that when we are training a new student, and the season and time of night is just right, we will go up to the dome and have our new colleague look through the telescope’s eyepiece. Photography does not do justice to the sight that emerges: a bright ruby red speck of light floats seemingly in front of a vast ocean of fainter and whiter stars. That red speck is Proxima Centauri, the closest star to us other than the Sun, the subject of the Pale Red Dot project, and a typical low mass star. Stars like Proxima Centauri, or just Proxima for short, are amongst the smallest but also the most common types of stars in the Galaxy. Let’s take a few minutes to understand our smallest and closest stellar neighbors a little better. Imagine for a moment that we drop a large ceramic dinner plate on a hard kitchen floor. The plate shatters into many, many, pieces, of all different sizes. We then look down and examine the results of our carelessness. Our attention is first drawn to the handful of large fragments. After a more careful look we see that for every one of those large ceramic fragments there are dozens, if not hundreds, of much smaller pieces. Further, we soon realize that if we have any hope of reconstructing the original plate or figuring out what happened we cannot simply ignore those smaller pieces and sweep them under the rug. This unfortunate kitchen accident is a rough analogy to the stellar formation process, and it sheds some light on how the Milky Way Galaxy ended up with the stellar population we observe today. Stars are formed when clouds of interstellar gas and dust, called giant molecular clouds, are somehow perturbed—causing the cloud to start collapsing under its own gravitational pull. Several points in the collapsing cloud achieve higher and higher density, and therefore exert an even greater gravitational force. Over the course of hundreds of thousands of years these high density regions consume enough gas and become compact enough to form stellar embryos, or protostars. When the protostar’s core becomes hot enough to ignite and sustain nuclear fusion, a star is born. In a manner similar to what happens with our shattering plate, but for different physical reasons, the result of this cloud collapse mechanism heavily favors the production of stars whose masses are anywhere from about 60% to about only 8% of our Sun’s mass. When fully formed and contracted these are tiny stars, with the majority having radii between 20% and only 10% our Sun’s radius. The smallest are very close in size (but not in mass or density!) to the planet Jupiter. What these small stars lack in terms of size they make up for in their sheer numbers. Indeed, out of the 366 stars whose accurately measured distances place them within 32.6 light-years (or 10 parsecs, in astronomical lingo) of our Solar System, 275 belong to this type. These objects are commonly known as red dwarfs, or M dwarfs, in the stellar classification system used by professional astronomers. Using the fair assumption that our solar neighborhood is typical of much of the Milky Way Galaxy, that means that about 75% of the stars in our galaxy are M dwarfs. The M dwarf class is sometimes subdivided, with stars having about 20% or less the mass of our Sun being called Very Low Mass, or VLM stars. Proxima is in the upper mass range of the VLM stars. Figure 1: A graphical representation of all known stars within 32.6 light-years (10 parsecs) of Earth. Stars of each category in the stellar classification system are represented by filled circles with sizes proportional to the star’s size and colors that approximate their true colors. The Sun, a G type star, is represented by one of the yellow circles. The M dwarfs are themselves subdivided into two hues of red and 3 different sizes to represent the diversity within the M class. M dwarfs vastly outnumber all other types. The very small dots at the center represent stellar remnants that have exhausted their nuclear fuel and are called white dwarfs. The 8 planets of the Solar System are also plotted for size comparison, with Mercury and Mars too small to be noticeable. Updated counts are available at www.recons.org. Courtesy of Todd J. Henry / RECONS. What are red dwarfs like as stars, and how does their energy output compare to our Sun’s? These stars are incredibly faint, and not even Proxima can be seen with the naked eye despite its proximity of only 4.25 light-years. To put this distance in context, the best estimates for the diameter of the Milky Way Galaxy place it at anywhere between 100,000 to 180,000 light-years; if our galaxy were a city 10 km across Proxima would be so close to us as to be knocking on our front door! And yet stars that are intrinsically more luminous can be seen with the naked eye from distances almost one fifth of the way across the galaxy. If a representative sample of red dwarfs were all placed at the same distance to us as the Sun the brightest ones would shine only about 7 percent as bright as the Sun. Recent research by our group indicates that the faintest of the VLM stars would shine with only about 0.016 percent, or about 1/6,000th , the brightness of our Sun. Proxima has a total energy output about 0.2% that of our Sun. Red dwarfs are not only faint, but the little light they do emit is also very different from the warm sunlight we enjoy on a Caribbean beach on Earth. The surface of our Sun shines at a temperature of approximately 5,500 degrees Celsius (10,000 F). At that temperature most of the light is emitted in the yellow-green region of the visible light spectrum. It therefore makes sense that the human eye has evolved to be the most sensitive to the yellow-green light that most strongly bathes our planet. Low mass stars have significantly cooler surface temperatures: about 3,500 C (6,400 F) for the hottest red dwarfs and approximately 1,800 C (3,300 F) for the smallest and faintest VLM stars. At these temperatures not only does the star emit considerably less light overall, but the light emitted is also shifted to longer wavelengths, which we perceive as redder colors. The color spectrum of the hottest red dwarfs has its peak at a deep red color that is just at the limit of the detection range of the human eye. For the faintest VLM stars the color spectrum peaks in the near infrared range of the electromagnetic spectrum, well beyond the detection capabilities of the human eye. In both cases the human eye’s enhanced sensitivity to yellow-green light will shift the perceived colors to shorter wavelengths than the peak color emission. A future interstellar voyager who sees a hot red dwarf up close will likely perceive a distinctive orange hue, whereas one of the cooler red dwarfs may appear to be a lively red (Figure 2ab). To make these faintest of faint stars even more unusual, there is evidence to suggest that they have strong surface magnetic fields. These magnetic fields would cause dark spots analogous to sunspots, but they may be more numerous and larger—perhaps covering a substantial portion of the star’s surface. Figure 2: Artist’s conception of a red dwarf star as seen from close proximity. It is thought that the hotter red dwarfs may actually look more orange than red due to the human eye’s enhanced sensitivity to yellow light (a), whereas the cooler red dwarfs most likely would appear bright red. Figure credit: Walt Feimer/NASA. Astronomers currently think that as many as 1/3 of red dwarfs may harbor rocky planets with compositions similar to Earth’s. Could life evolve on these planets, and what would life around a red dwarf be like? The idea of life evolving on planets around red dwarfs is extremely exciting. If for no other reason, their sheer numbers means that the question of red dwarf habitability has tremendous implications in determining whether we live in a Universe teeming with life or whether life is a sparse occurrence. Despite this huge potential, the notion of life on low mass star systems is not without its challenges. Because of their lower mass and consequentially weaker gravitational pull, red dwarfs take a very long time to settle into their fully contracted configuration, once they stop accreting material from their parent star forming cloud. Similarly, the comparatively slow rate of nuclear reactions in a low mass star’s core causes these stars to have extremely long lives when compared to more massive stars. Their slow evolution and long lives are both a blessing and a curse for the possibility of life. Once fully formed and contracted, red dwarfs change very little for hundreds of billions of years. The oldest red dwarfs may therefore have provided a stable environment for life for as long as they have existed, roughly 10 billion years based on current estimates for the age of the Galaxy. Compare that with only 4.1 billion years of biological evolution on Earth. Even if evolution around a planet hosting red dwarf happened slower and hit a few dead ends, the final result might still mean a complex and diverse ecosystem. However, the prospect of a prolonged period of stability suitable for biological evolution is only exciting if we assume that the right conditions for life were present to begin with, and that is where a red dwarf’s life in the slow lane becomes a problem. Liquid water is essential for life as we know it on Earth, and liquid water can only exist if the temperature on a planet’s surface allows it. A planet’s temperature is governed primarily by the planet’s orbital distance from its parent star and the star’s intrinsic luminosity. Astronomers call the range of orbital radii allowing the existence of liquid water the ‘habitable zone’ around a star. All stars are significantly brighter during their initial contraction phase, when most of the star’s energy comes from its gravitational collapse and not from nuclear fusion. For red dwarfs this initial period of increased luminosity may last up to 3 billion years, which is well beyond the formation time for planets. Any planet that forms in what will eventually become the star’s habitable zone will be subject to scorching heat during its early life. Calculations suggest that this fiery youth may cause all water to evaporate away, thus effectively sterilizing the planet. A possible way out of this scenario involves the retention of water in minerals called chondrites. If chondrites are present in sufficient amounts in the rocky material that coalesces to form planets, the fully formed planets could have substantial water reserves in their interiors. The water could then be released from the planet’s interior by volcanic activity at later times when the surface temperature is right for liquid water. Whether or not this scenario is likely is an area of active research. Another interesting aspect of the idea of life in planets orbiting red dwarfs has to do with the extreme proximity of the star’s habitable zone to the star itself. These stars are so faint that planets in their habitable zones would have orbits smaller than the orbit of Mercury in our Solar System. At such small distances the slight difference in the star’s gravitational pull from the planet’s side facing the star to the planet’s far side causes a phenomenon called tidal locking. In a tidally locked planet the same side of the planet always faces the star, causing it to be much hotter than the side that is perpetually facing away from the star. The Earth-Moon system is a good example of a tidally locked satellite. The habitable conditions in a tidally locked planet may be confined to a narrow ring shaped region where the illuminated side meets the dark side of the planet. This habitable region would be in perpetual twilight, with the star shining low in the horizon. Such low illumination conditions may seem rather depressing to us humans, but low light levels peaking at redder wavelengths are the norm around red dwarfs, and it is quite possible that any existing life form in these otherworldly environments may have evolved to use infrared light in much the same way we utilize the bright yellow-green light of our parent star. Perhaps venturing too close to the planet’s illuminated side would cause these creatures to get a “star burn” from red light in much the same way we get can get a sunburn from the small portion of our Sun’s energy that is emitted as ultraviolet light. Finally, a treatment of low mass stars would not be complete without making a connection to their lower mass cousins, the substellar brown dwarfs. Looking back to our shattered plate analogy of star formation, the cloud collapse process that produces stars with a wide range of different masses can also produce objects whose mass is too small to create the conditions necessary for sustainable core nuclear fusion. These objects are called brown dwarfs. Brown dwarfs look much like their VLM star counterparts in their youth because during that phase gravitational contraction releases a large amount of energy for both stars and brown dwarfs. However, once brown dwarfs are fully contracted they keep cooling down over the course of billions of years. For much of the red dwarf range of temperatures and colors it is difficult to tell whether a given object is a young brown dwarf or a VLM star of any age. Recent research by my collaborators and I indicates that the stellar sequence comes to an end when we reach objects with surface temperatures of about 1,800 C (3,300 F) and luminosities of roughly 1/6,000th that of our Sun (interested in the technical details? read the paper here). We came to this conclusion by performing the observations necessary to estimate the radius of a sample of 63 objects thought to lie close to the end of the stellar sequence. We then noted that for temperatures higher than 1,800 C the objects cover a wide range of radii, including the radii expected for old and fully contracted stars. At cooler temperatures we encountered larger radii that can only be explained if the objects in question are young brown dwarfs that are not yet fully contracted (Figure 3). Figure 3: Temperature-Radius diagram for VLM stars. In keeping with astronomical tradition, the temperature axis is plotted with decreasing values from left to right. The star 2MASS J0523-1403 marks the temperature at which the minimum radius is reached, meaning that objects like 2MASS J0523-1403 are old and fully contracted. At cooler temperatures only larger objects are present, indicating that they are relatively young and not yet fully contracted brown dwarfs. A few objects are marked as unresolved binaries, meaning that we are seeing the light from two closely spaced stars and therefore the radius we calculate for those stars is inaccurate. 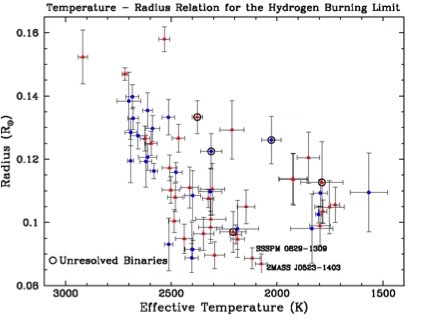 The temperature we obtained for the end of the stellar sequence is substantially higher than that predicted by theoretical models, and we are now trying to pinpoint the root causes of this discrepancy. As a part of this research we have found what we believe to be the smallest known star to date and also a representative of the smallest possible stars. This star is called 2MASS J0523-1403, and shines faintly in the constellation Lepus the hare, under the feet of Orion the hunter. (Figure 4). 2MASS J0523-1403 has a radius of only percent the radius of our Sun. That radius makes 2MASS J0523-1403 about 15 percent smaller than the planet Jupiter. Indeed, perhaps coincidentally, the size we calculate for 2MASS J05234-1403 is within 1 percent of the size of the planet Saturn. Therefore while we can say that VLM stars in general have sizes comparable to Jupiter, we can go one step further and say that the smallest stars are Saturn sized. In making these comparisons we must be careful not to confuse volume and mass. 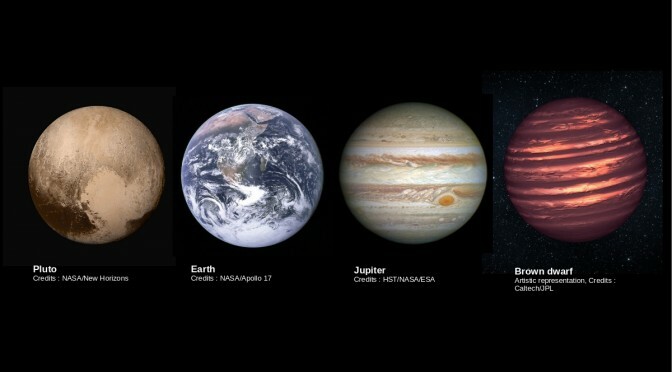 While these stars have the volume of giant planets their mass is theoretically predicted to be anywhere from 70 to 80 times the mass of Jupiter, making them incredibly dense. In fact, it is the quantum mechanical limit on the allowed upper density that causes brown dwarfs to stop contracting before nuclear fusion ignites. 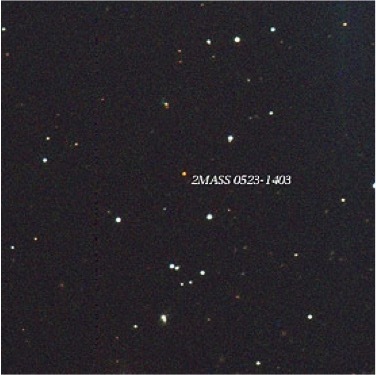 Figure 4: The smallest known star, 2MASS J0523-1403, as seen with the Cerro Tololo 0.9 meter telescope, is shown using a color scheme that approximates its true color. Over the last few decades our knowledge of red dwarfs has gone from simply knowing that they exist, to realizing just how numerous they are, and finally to being able to characterize them and assess their suitability as hosts for habitable planets. This progress is in part due to advances in observational astronomy, such as the substitution of blue sensitive photographic film to red sensitive digital CCD detectors and infrared detectors. Those advances in sensitivity and data management were then utilized to conduct large all-sky surveys that revealed a multitude of new red dwarfs and gave astronomers the unprecedented ability to study them not only as individual objects but also as a population. We now have a good understanding of how red dwarfs contribute to the overall stellar population of the Galaxy and are gaining greater understanding of their promises and challenges as hosts of livable planets. The history of astronomy has taught us that we cannot predict what the next discovery will be and how it will change our understanding of things. It could well be that after thorough study we may realize that the roughly 75 percent of the stars in the Galaxy that we call red dwarfs are not suitable as hosts of living planets. That alone would let us know that life in the Universe might be a bit more special than previously thought and how fortunate we are to have a home on planet Earth. On the opposing view, we know from our experience on Earth that evolution usually finds a way to make life flourish in the most extreme and odd environments. If life forming mechanisms are able to overcome the challenges we discussed here, plus many others that we have not yet even imagined, it is quite possible that our solar neighborhood abounds with beings of unimaginable forms thriving under the soft red twilight of their tiny parent star. About the author. 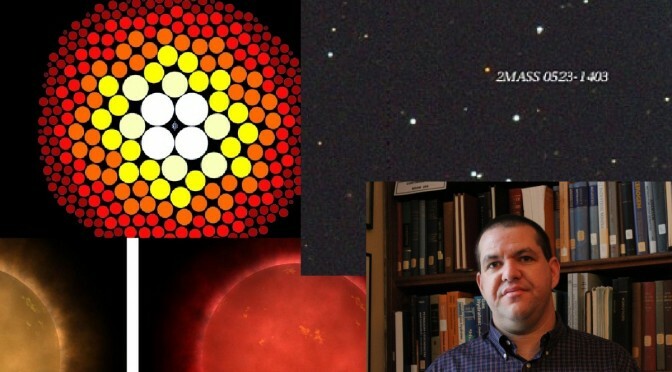 Sergio (Serge) Dieterich is an observational astronomer who studies the properties of the smallest stars in the solar neighborhood, and the differences and similarities between these stars and their lower mass substellar cousins, the brown dwarfs. He is particularly interested in how stellar structure, and evolution processes happening deep within the core of a star or brown dwarf, are related to the colors and spectroscopic features of the surface of the star, which is the only part probed by telescope observations. Serge also specializes in the technique of astrometry, which measures minute changes in the relative position of a star in the sky to determine the star’s distance from Earth, as well as any orbital motion the star may have about an unseen companion. Serge was born in Porto Alegre, Brazil, and moved to Miami, Florida, just before starting high school. He has a B.A. in physics from Johns Hopkins University, an M.S. in physics from Georgia State University, and recently obtained his Ph.D. in astronomy also from Georgia State. After college and before starting graduate school Serge taught high school physics and middle school physical science for two years. He currently holds a National Science Foundation postdoctoral fellowship at the Department of Terrestrial Magnetism from the Carnegie Institution for Science. In addition to cutting edge research, he is also developing contents for high school level students about astronomy and stars. Proxima Centauri is the closest star to the Sun, hence its name. Nonetheless, gravitationally speaking, it belongs to a triple system in which Proxima Centauri orbits a central binary system at a distance of 10 thousand times the Earth–Sun distance. The members of the inner binary are designated as Alpha Centauri A and B. They orbit one another with a distance 20 times that of the Earth–Sun distance. Both Alpha Centauri A and B are rather similar to our Sun. The components of a multiple star system are named by adding uppercase letters to the name of the star. Alpha Centauri A is the brightest component, Alpha Centauri B is the slightly fainter second star and Alpha Centauri C is the much fainter Proxima Centauri. Currently Alpha Centauri A and B are rather close together on the sky and present as the 2nd brightest night-time object in the Southern sky—after Canopus which is a hotter, more distant star. Proxima Centauri was not discovered until 1915 in part because its luminosity is only 0.1% that of the Sun. Despite being next door (astronomically speaking) it was not easily spotted near its brighter neighbours. Naturally people have long speculated the possibilities for the closest possible places for life beyond the Solar System. In 2012 a radial velocity or Doppler wobble search of Alpha Centauri B revealed the signal of an Earth-mass planet in a three day orbit. However, several subsequent studies have analysed exactly the same data and not confirmed the claimed signal. The 2012 discovery depended on a model accounting for the activity of Alpha Centauri B just as one might have to account for the effects of solar rotation, activity and the sunspot cycle if one were interested in detecting the Earth next to the Sun. A number of scientists have been working hard on accounting for the cycles of stellar activity but so far the evidence for an Earth-mass planet around Alpha Centauri B is unconfirmed. One might ask why we and the 2012 study of Alpha Centauri B use the Doppler wobble technique at all when so many planets have been found by the Kepler space telescope. It is important to realize that detection by Kepler requires that the planet blocks the light from the star so while transit surveys have been hugely successful they can only deliver objects around the small fraction of stars whose alignment happens to give rise to a transit signal. On the other hand Doppler wobble or radial velocity signals can potentially be discerned for all stars with planets, unless they have face-on orbits. In principle, Proxima Centauri presents a better opportunity to search for planets because its mass and radius are only 10% that of Alpha Centauri B. The lower mass of Proxima Centauri means that the same mass planet in orbit could be proportionally easier to spot. Of course this will depend on the details! For our search, we measure the Doppler wobble induced by the planet on its host star through their gravitational pull on each other. In the case of Alpha Centauri B the claimed signal was 51 centimetres per second (1.8 km/hr), about the speed of a baby crawling and corresponding to a mass close to that of the Earth. However, if we found such a signal around the much lighter star Proxima Centauri it would correspond to an even lighter planet. Example of measurements (in red) overplotted on the expected Doppler signal caused by an exoplanet on the Star. Changes in the velocity of the Sun-like star 51 Peg used by M. Mayor and D. Queloz to infer the presence of a gas-giant planet in a short period orbit around the star. Previous work on Proxima gives us a constraint that any signals around Proxima will likely be no more than 10 Earth-masses. Proxima Centauri’s mass—of about a tenth that of the Sun—means the mass ratio between Proxima and any planet in orbit will be at least 3000. To put this is context think of the forces on you when you spin an object on a string around your body. In the case of an Olympic hammer thrower the hammer twirls around their gyrating body with the string keeping them together. This analogy with the hammer thrower as the star and the hammer as the planet serves to illustrate that although the planet does most of the moving a star with a planet in orbit around it will be tugged slightly to and fro as the planet orbits, and these subtle movements of the star show up as subtle shifts in the color of the star’s light we see from Earth. The men’s Olympic hammer throwing event involves a 7.3kg steel ball attached to a wire with a handle. Since the ball is 7.3kg this takes some strength and technique to throw so hammer throwers tend to be fairly large and strong. The force on the hammer thrower from the hammer is quite substantial because the mass of the hammer is high relative to the thrower. When Yuriy Sedykh set his world record for the hammer throw he was some 110 kg—a mass ratio of 15. The substantial force experienced by the athlete is not a particularly close analogy though, since a planet around Proxima Centauri would have a mass ratio of at least 3000. A better analogy needs something with a bit less mass. A golf ball weighing 45g serves as a better analogy but to get a mass ratio of 3000 we need the hammer thrower to be a bit heavier. The average sumo wrestler weighs in at 150kg so an appropriate analogy would be a sumo wrestler whizzing a golf ball around them. Or alternatively the force felt on a toddler (8.1 kg) swinging a ping pong ball (mass 2.7g) around. 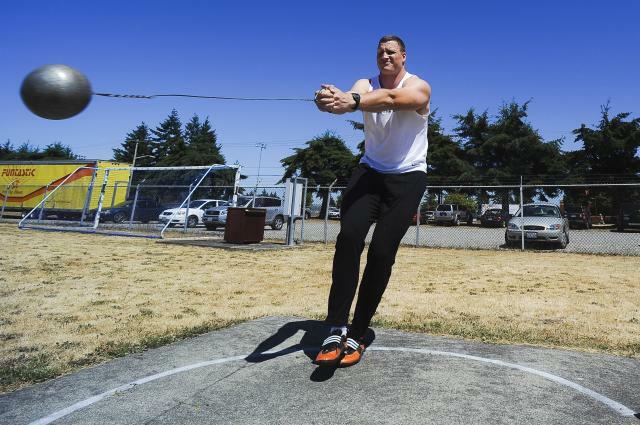 Hammer thrower Mike Mai practices at Fort Lewis, July 1. Mai finished third at the U.S. National Championships and will soon compete at the World Track and Field Championships in Berlin, Germany. Image credits : Phil Sussman. When we look for the Doppler wobble of stars due to unseen planets we are actually looking to detect the small change in the light that results from the periodic stretching and compressing of the light from Proxima Centauri due to the motion induced on it by the planet. It might also be instructive to think about the Doppler effect in terms of other phenomena one experiences. Listen while a fast car moves past you or stand on the platform while a high speed train whizzes through the station. In these cases it is only possible to perceive these changes in sound when they are moving fast. While a vehicle moving at 100km/h (about 30 m/s) is only moving about ten times faster than Proxima Centauri might be moving, the change that our ears perceive is happening over much less than a second. However, we do not expect a planet in orbit around Proxima Centauri to make the change in period over less than a few days to appear to move from being slightly blue-shifted to slightly red-shifted. If we think in terms of sound waves the frequency ratio between two adjacent notes on a piano is approximately 1.06 which happens to be equivalent to the world record hammer throw ratio . The smallest shift in sound waves we can perceive is approximately 3.6 Hz, which at middle C corresponds to a rather modest ratio of 75. Thus even the smallest changes we can perceive in the frequency of sound are not really close to being representative of the level of effect we are trying to measure. We are fortunate that modern technology, along with data handling ingenuity built up by successive generations of astronomers and instrument builders, allows us to reliably measure the frequency or wavelength of light over long periods of time. Rather than gazing into the sky and enjoying the mysterious wonder of all the far away specks of light; if we have access to a telescope and a sensitive digital camera we can collect enough light from the star that we can disperse the light so that rather than looking at a broad range of wavelengths—white light as we perceive it—we seek to measure the subtle changes in light from a star as a function of wavelength. This is equivalent to putting the starlight through a very powerful prism which enables us to split the white light into the full rainbow of colors. In practice this is achieved by putting the star light onto an echelle grating. This is a piece of glass (like a microscope slide) which has hundreds of lines ruled on it per millimetre. This enables the light to be dispersed a lot more than a prism, which in turn enables the resolution of individual atomic species and molecules that undergo particular transitions at precise energies. Since Proxima Centauri is comparatively nearby and space is very empty it can be seen that when a spectrum is taken, the atomic and molecular lines which we see correspond to the expected intensities for Proxima Centauri’s temperature; and move together as it moves relative to us and so we can be sure that our instrument is observing the atmosphere of Proxima Centauri. Another key ingredient of many required to precisely record Doppler wobble is a stable reference source for the spectrograph . In the case of our experiment the instrument HARPS (High Accuracy Radial velocity Planet Searcher) has a Thorium Argon lamp as its reference source. A standard light bulb works when a voltage is applied to heat a tungsten filament to glow and emit light. In a reference source lamp the voltages applied are larger so that the electrons in the atoms are ionized. Suitable elements are chosen, which are those that have large number of different energy states. When excited electrons in the atom move between the many possible energy states, they emit photons of light, which can then be detected as a relative forest of emission lines across a broad wavelength range. On the left, we can see emission lines of a Thorium Argon lamp (extracted from http://tdc-www.harvard.edu/instruments/tres/). On the right a small chunk of the spectrum of Proxima Centauri is shown for comparison (Image credits : G. Anglada-Escude). Sharp features like the ThAr lines and the hundreds of narrow absorption features in Proxima’s spectrum are ideal to measure accurate Doppler velocities. The heavy element Thorium and the buffer gas of Argon are the best combination found so far. Whenever we take a spectrum of Proxima Centauri we compare it to the Thorium Argon lamp reference spectrum to determine how much the lines in Proxima Centauri’s spectrum have moved. All the time the temperature and the pressure of the Thorium Argon lamp, and the spectrograph as a whole, are carefully controlled in order that nothing changes. The idea is that nothing in the experimental procedure should be altered from one measurement of Proxima Centauri to the next. This means that we can use the recorded data to infer the motion of Proxima Centauri and thus any Doppler wobble that it has due to any planets in orbit around it. About the author. 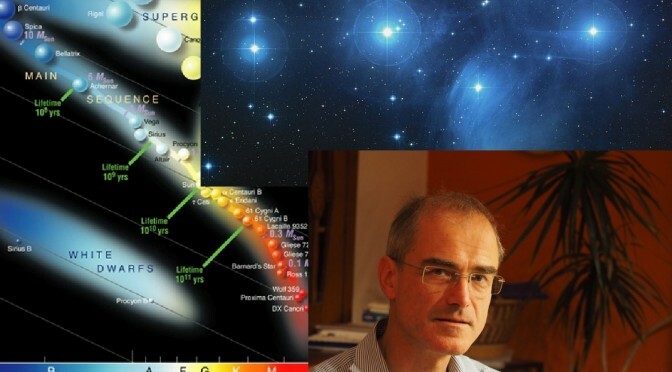 Professor Hugh Jones is the Director of Bayfordbury Observatory at the University of Hertfordshire and teaches astrophysics and maths to undergraduates. He is also Director of Research for the University’s Science and Technology Research Institute, one of three multi-disciplinary research facilities in the University. His research is focused on our stellar neighbourhood and has led to the discovery of a number of extra-solar planets using the Doppler wobble method including the first long-period circular one, the 100th discovered and the one with the most eccentric orbit. He received his BSc in Physics from the University of Leeds, followed by an MSc in astrophysics from the University of Alberta in 1990. 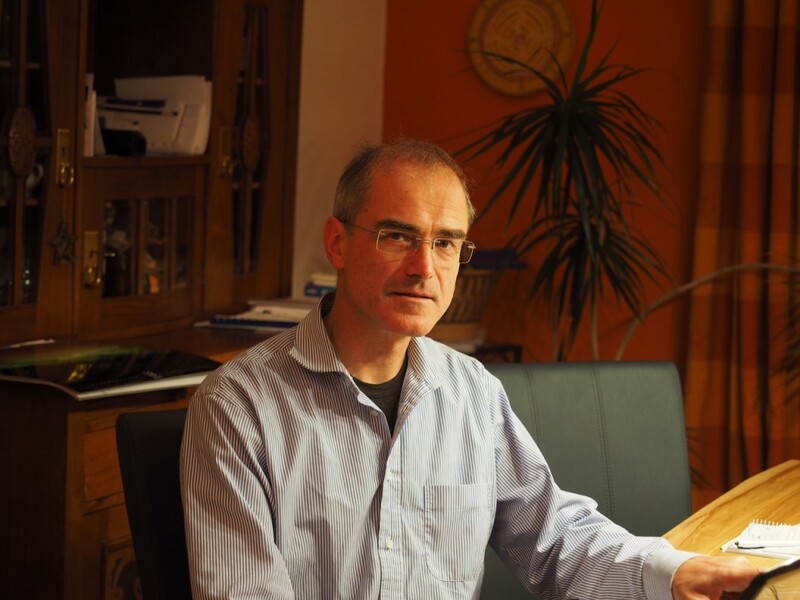 After working at Blackwell Scientific and setting up an educational electronics company (MadLab) he moved into academia gaining his PhD in astrophysics from the University of Edinburgh in 1995. He then moved to the University of Tokyo as a European Commission research fellow to work with Professor Takashi Tsuji on the model atmospheres of cool dwarf stars working on the inclusion of dust in model atmospheres finding the first empirical evidence for dust in cool dwarf stars. At this time he co-founded the Anglo-Australian Planet Search using the Doppler wobble technique. In 1997, he moved to Liverpool John Moores University and in 2000 a position at the University of Liverpool being closely involved with founding and running a joint Physis degree, a suite of ten online distance learning courses and the the Liverpool Robotic Telescope. He moved to Hertfordshire in 2004, led the Institute of Physics accreditation of the Physics degree and set up the inaugural European Week of Astronomy and Space Science. Hertfordshire is now host to a number of researchers involved in the discovery and characterisation of nearby stars and their companions. The group is unusual in finding planets by a number of different complementary methods and is particularly active in the systematic discovery of the coolest stars including most of the coolest known examples. A star is a sphere of very hot gas (called plasma) confined by its own gravity. Our Sun is the nearest star, astronomers therefore use it as a standard. Compared to our Earth, the Sun is more than 300,000 times more massive and its diameter is a factor of 100 larger. Compared to Earth and other planets like Jupiter, stars produce energy from nuclear fusion processes, which results in the emission of light over a broad range of wavelengths. The maximum of this emission, for example of our Sun, is in the region of the electromagnetic spectrum visible to our eyes, but the Sun also emits significant levels of ultraviolet and infrared radiation. These nuclear processes require very high temperatures (millions of degrees) and very high pressures in the central regions of the stars. Straight forward estimates show that a minimum mass of a bit less than a tenth of a solar mass or equivalent to 80 times the mass of Jupiter is required to reach the temperature and pressure to operate stable nuclear fusion processes over a very long time; in the case of our Sun comparable to the age of the Universe. Objects below this critical mass of 80 Jupiter masses are called brown dwarfs. They can sustain some nuclear processes but only for a rather short time. They can be therefore seen as failed stars. Below a mass of about 13 Jupiter masses, not even short term nuclear processes are possible, objects below this mass limit are planets. It should be noted that this differentiation between planets and brown dwarfs is only one possibility—others are in use as well. Stars form out of very cold gas and dust clouds, called molecular clouds, which become gravitationally unstable and therefore collapse under their own gravity. The cause of the instability can vary from density waves in the Galaxy, close-by stellar explosions or even galaxy-galaxy collisions! These molecular clouds contain gas of typically many ten thousands of solar masses and have diameters in the range of tens of light years—on the order of a few ten thousand times larger than our solar system. During the collapse, the cloud may fragment, i.e. a single cloud forms a large number of stars in the range of hundred thousand stars. The resulting stars have a good chance to stay mutually gravitationally bound for a very long time. 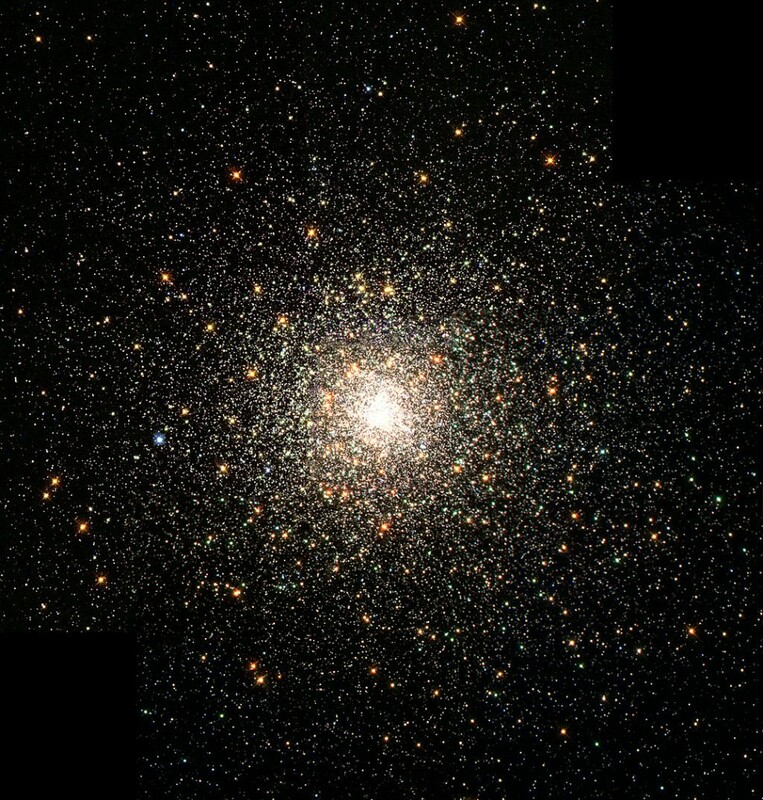 We find such clusters of stars, called globular clusters, in our own Galaxy as well as in other galaxies. Less populated clusters are visible as open clusters, with the Pleiades as a prominent example, but dissolve rather quickly contributing their stars to the Galaxy. Nevertheless, multiple systems—containing two, three or even more stars—are very common. Proxima Centauri for example is a member in a triple system. The fragmentation and contraction process proceeds through several stages until the fragment, at that stage called a protostar, is not much larger than our Sun. The contraction leads to a continuous transformation of potential energy into kinetic energy resulting in significant heating of the gas. The star is born when the interior is hot and dense enough to sustain steady nuclear fusion which then brings the star into a stable equilibrium. On astronomical time-scales, the formation process is short, i.e. on the order of a million years. Star formation is self-terminating, the first stars forming in such a cloud start to heat the molecular cloud which quickly leads to dissolution of the cloud. 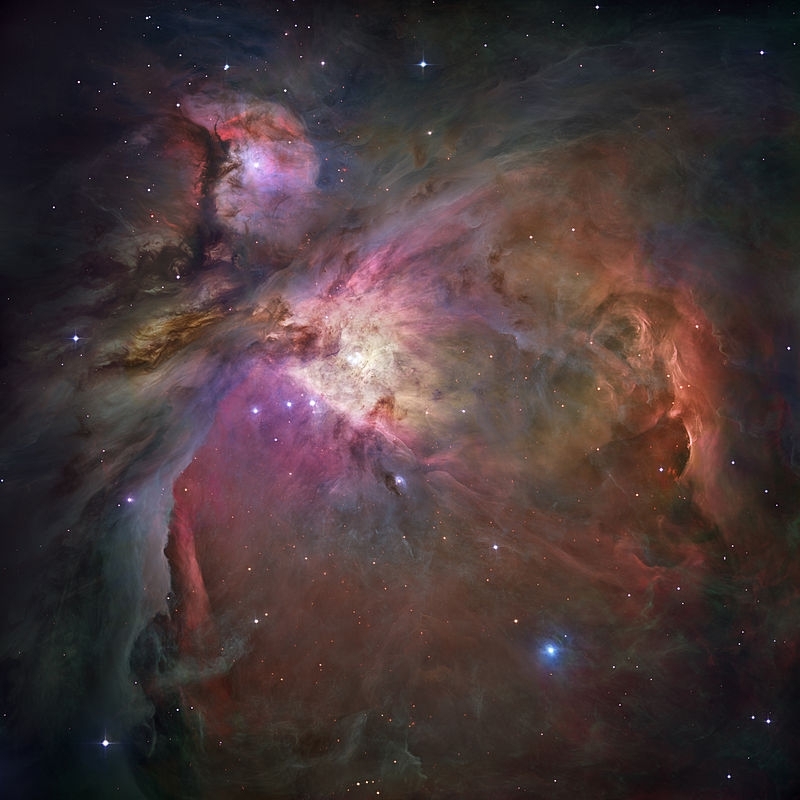 A rather near-by star forming region is the Orion nebula 1,300 light years away. With a small telescope, four prominent stars become visible which started to heat up the surrounding gas visible though the very characteristic light emission. Parts of the original cold molecular cloud gas are also visible as dark clouds. A closer look with the Hubble Space Telescope reveals a large number of newly formed stars. The stellar composition reflects the material composition of our Universe, by number, hydrogen makes up about 90% of gas atoms, followed by helium with just less than 10%. All other elements, like carbon, oxygen, or iron, contribute less than 1% by number. We will see below that the amount of other elements is an indicator of the population the star belongs to, i.e. whether it has formed earlier in the life time of the Galaxy or more recently. Since more than 99% of the stellar material is hydrogen and helium in a nearly identical composition from star to star, the properties of the newly formed stars are determined by its mass, which covers a wide range. The smallest objects formed are brown dwarfs; the most massive can have masses of the order of one hundred solar masses. The distribution of masses is quite universal, making the low-mass stars between a tenth and a half of the solar mass the most abundant ones. Proxima Centauri belongs to this category of low-mass stars. In that respect, it would be a better astronomical standard than our Sun. As mentioned above, stars produce energy from nuclear reactions. Since hydrogen is the most abundant element and the amount of energy per atom gained in a fusion reaction is the largest, the fusion of hydrogen to helium is by far the longest lasting energy resource for stars. For example, our Sun can sustain this process for about 10 Billion years—the Sun is half-way through this stage in its evolution. Low-mass stars like Proxima Centauri have less hydrogen to be transformed, however, they emit less energy (light) per unit mass and can therefore sustain the hydrogen fusion (in the astronomers slang called “burning”) for much longer. On the other hand more massive stars than our Sun have a shorter life time since they consume their hydrogen more efficiently. This leads us to the basic properties observable for stars, their luminosity, i.e. the total amount of emitted light per second, and the surface temperature. These two quantities are often displayed in a diagram, called the Hertzsprung–Russell diagram, which is one of the most important representations of stars in astronomy. The stars in their phase of hydrogen burning form the so called main-sequence. This is a sequence with the least massive stars having low temperatures and low luminosities, and temperature and luminosity increasing with mass. The surface temperature determines the color of the star; cooler stars appear red, hotter stars look blue. The surface temperature also determines the appearance of the stellar spectra. The emitted light of a star is not continuously distributed over the wavelengths as for example in a classical light bulb. The solar spectrum (the spectrum produced by the Sun) is characterized by millions of absorption lines indicating the presence of the chemical elements. Cooler stars like Proxima Centauri are characterized by the absorption lines of many molecules. These spectra are like finger prints and astronomers can learn a lot about the physical properties of stars by analyzing their spectra. In the context of planets around other stars, the spectral lines, or more precisely their shift in wavelength towards the red or the blue, is a measurement of the stars’ velocity. 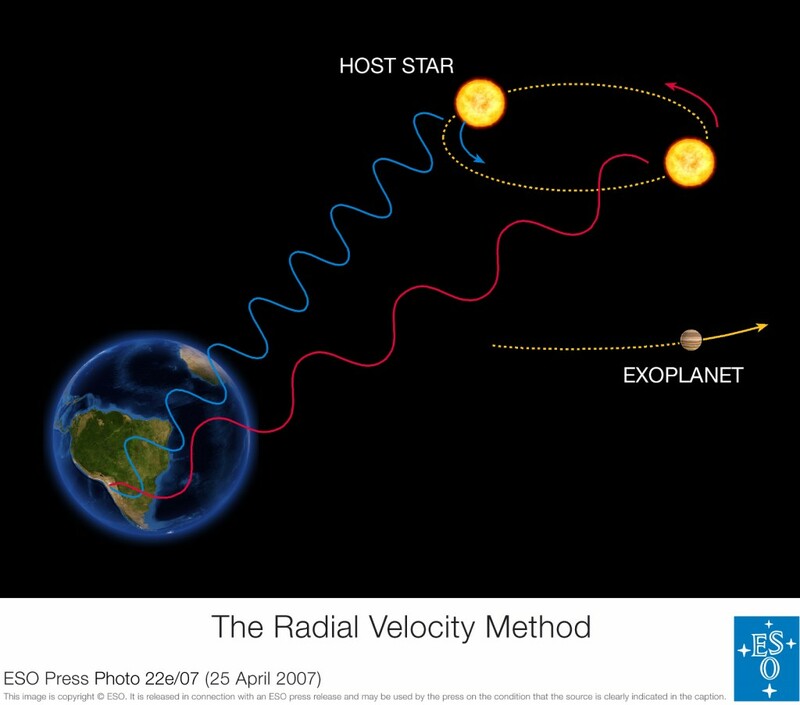 This is the basis of the Doppler Velocity Method which Pale Red Dot will be using to detect a planet orbiting Proxima Centauri. 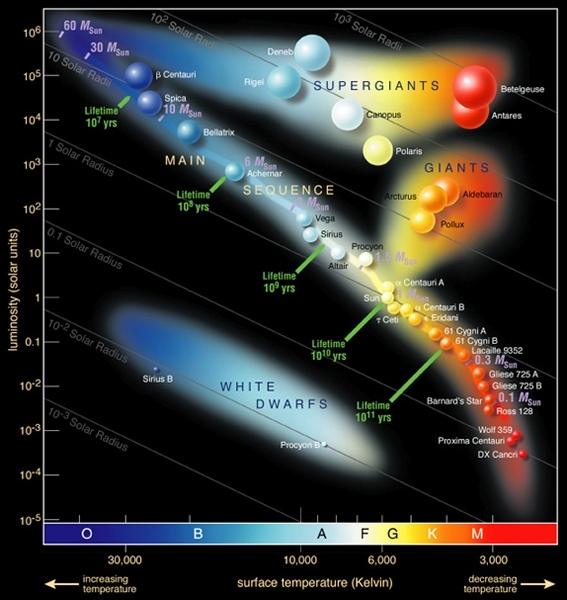 In the Hertzsprung–Russell diagram displayed here, the main stellar properties are indicated. For historical reasons, the stars are categorized in so called spectral classes, labeled with the capital letters indicated on the horizontal axis (OBAFGKM, O star are bluer, M stars are redder). Among others, Proxima Centauri‘s position in the Hertzsprung-Russell diagram is on the right bottom, indicating that it is a low-mass red star of spectral type M, with a surface temperature of the order of 3,000 degree Kelvin and a luminosity of about a thousandth of the solar luminosity. In the Hertzsprung–Russell–Diagram, other branches of stars are also visible. These positions in the diagram are populated by stars which finished their phase of hydrogen burning. For the sake of a compact description, most of the details of the further stages of stellar evolution are left out here. Basically, stars expand after the nuclear burning of hydrogen has ceased. This transforms the star into a giant. Most of the stars start a second phase of nuclear processes, now transforming helium into carbon and oxygen. This is less efficient and lasts therefore shorter. For most stars, the exhaustion of helium marks the end of nuclear processes and the star ends up as a white dwarf. Stars which are about ten times more massive then our Sun go through more nuclear processes, which end when a significant fraction of the stellar material is transformed to Iron. The final stage is either a neutron star or a stellar black hole formed in a violent supernova explosion. The later stages of stellar evolution are interesting for planets and planetary systems in two aspects. First of all, the transition of our Sun into a giant will terminate all life on Earth. The increasing solar radius and the increasing luminosity will bring the mean Earth temperature far above 100 degrees Celsius. The inner planets Mercury and Venus are very likely swallowed by the expanding Sun. When the Sun finally turns into a white dwarf, the Earth on its current orbit would be far too cold to sustain life. Moreover, there are observations indicating that we can observe decaying former planetary systems around white dwarfs which were destabilized due to the evolution of its host star. Stellar evolution of low-mass (left cycle) and high-mass (right cycle) stars, with examples in italics. The background image is derived from http://imagine.gsfc.nasa.gov/teachers/lessons/xray_spectra/images/life_cycles.jpg by NASA’s Goddard Space Flight Center. Source : Wikipedia. 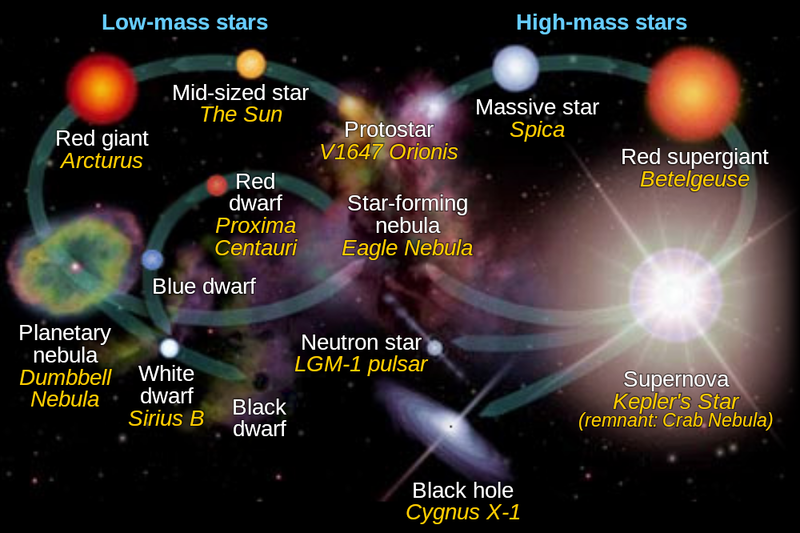 Secondly, stars lose a large fraction of their mass during the late phase of stellar evolution. Since this material is enriched in heavy elements like carbon, oxygen, silicon, iron, etc. and since the next generation of stars and their planets is formed out of this processed material, later generations of stars have more material to form planets like our Earth which mainly consist of iron and silicon and sustain life which relies on carbon and oxygen. Planets are a natural by-product of the star formation process. The contraction of the fragments of the star forming molecular cloud, based on angular momentum conservation—a fundamental principle of nature, leads to the formation of a disk around the protostar. These disks are the birth places of planets which form either in a bottom-up process from the growth of dust particles to larger and larger objects, finally of planetary size, or in the top-down, direct gravitational collapse of a fragmenting disk. Many details of these processes are still debated, but the basic principles seem to be clear. While this may indicate that all stars should have planets, planets might be lost, for example due to close stellar encounters, leaving stars without planets. The properties of the star determines the distance at which a planet can sustain habitable conditions, i.e. having a temperature suitable for liquid water. This depends on the stellar luminosity which sets the planet’s mean temperature depending on the star–planet distance. A less luminous star such as Proxima Centauri has a habitable zone much closer to the star compared to our Sun, where obviously our Earth is in the habitable zone. Stellar properties also determine how difficult it is to detect planets around it. Detecting planets around red dwarfs like Proxima Centauri is easier than around Sun-like stars. This is because red dwarfs are less massive (larger wobble due to a planet around them), smaller (larger dip in light when a planet crosses in front of them) and less luminous (higher planet–star contrast). An important aspect for life on other planets is also the stellar activity. Since we can study our Sun from nearby, we know that it is not a uniformly emitting sphere. The turbulent motion of the outer solar layers in connection with the solar magnetic field lead to a variety of phenomena summarized under the keyword activity. This activity determines the amount of high energy radiation and particles a planet is exposed to. This does not only impact possible life directly, it also influences the conditions in the planet’s atmosphere. Overall we can state that the knowledge of planets around other stars is only as detailed as our knowledge of the host star making stellar astrophysics a key aspect in our exploration of other worlds. About the author. 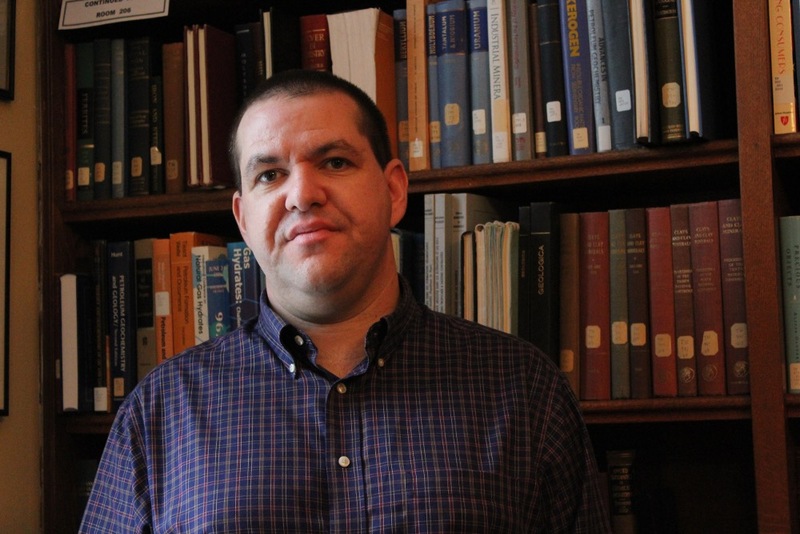 Stefan Dreizler’s expertise is in Stellar physics and observational spectroscopy. He studied physics and obtained his PhD at University of Kiel (1992). 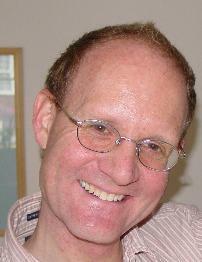 After that he worked as a Postdoctoral fellow at University of Erlangen-Nurnberg between 1992 and 1995. He then moved to University of Kield as a Research Assitant (1995 and 1996), and to University of Tuebingen (1997-2000), where he was appointed as Lecturer between 2000-2003. His last move was to University of Goettingen where he is today a Full Professor in Astrophysics. He was Dean of the departmenbt of Physics between 2007 and 2009, and he has been deeply involved in the construction of the Multi Unit Spectroscopic Explorer (MUSE installed at ESO’s VLT), whose mechanical structure was assembled in Goettingen. He is member of the Kuratorium of the Max-Planck-Institut fur Sonnensystemforschung (Solar System Research). He runs astronomy outreach activities with the MONET telescopes (Texas and South Africa), and he is a very active member in the CARMENES project, which recently started operations and will also search for small planets around M-dwarfs in the northern hemisphere.